The big blooms are gorgeous although a bit fleeting. 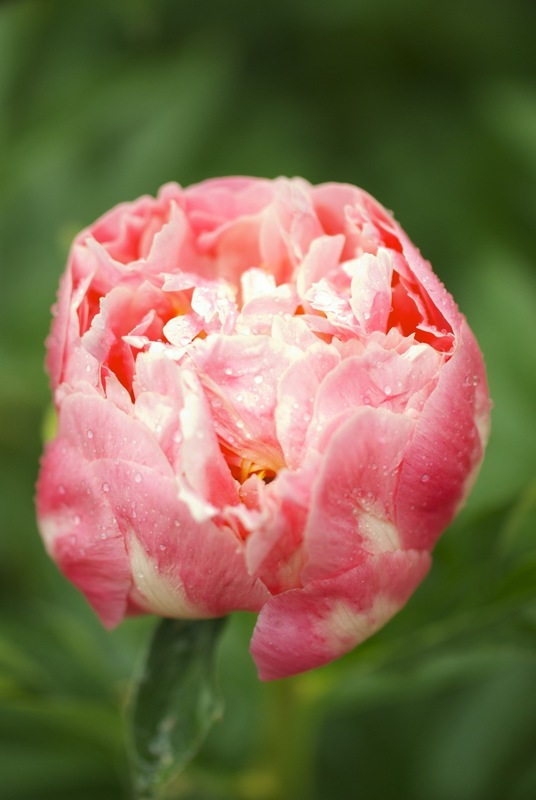 However, this year it has produced well over 25 blooms and it was just planted four years ago! A few of these are being cut to enjoy in the house, most definitely! 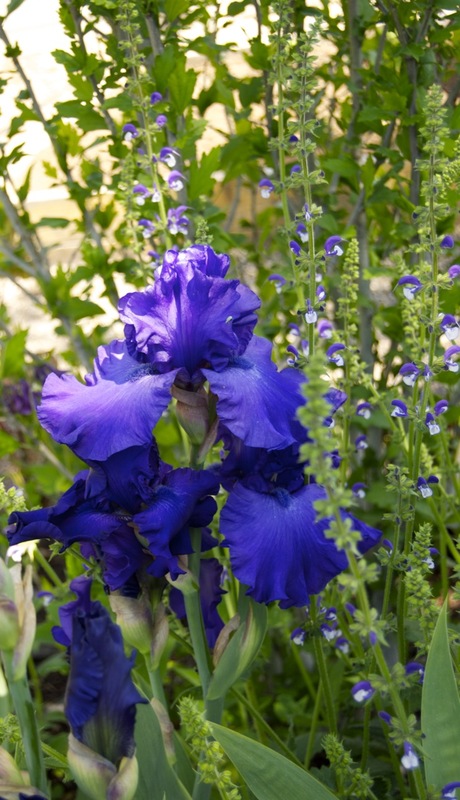 Last year I planted Salvia ‘Madeline’ behind the purple iris to see what the effect would be. I like it! A full-sun shot of the main perennial border…darn that light is bright! The greens have been fabulous this year as we have had a truly “moderate” Spring in our area. Spring is a bit of a wild ride here in the Intermountain West with temps all over the place, lots of wind and many years very little moisture. Fortunately, all of those things have been downplayed this year and we’ve enjoyed rains and many days in the 60’s. The greens have responded and there have been many leafy dinners over the last few weeks! Here’s a few shots of what I’ve been growing and my family has been eating. 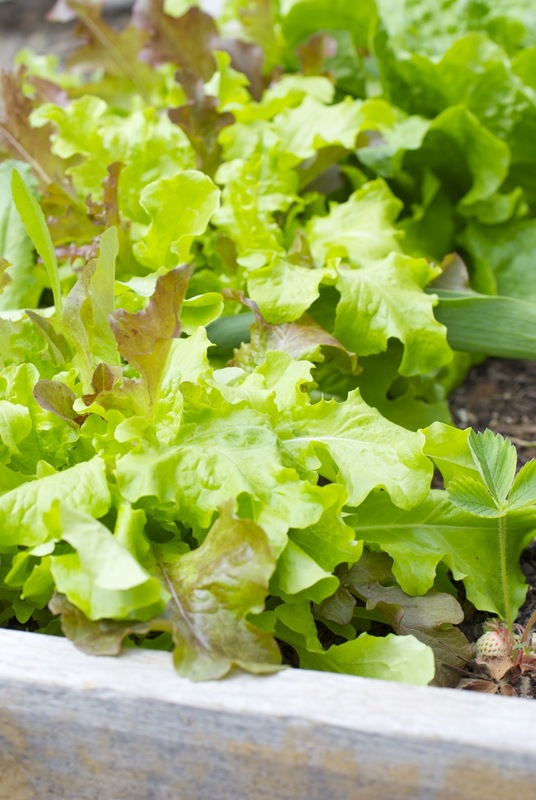 Flashy trout back lettuce – purchased as a small plant start and planted in early April. 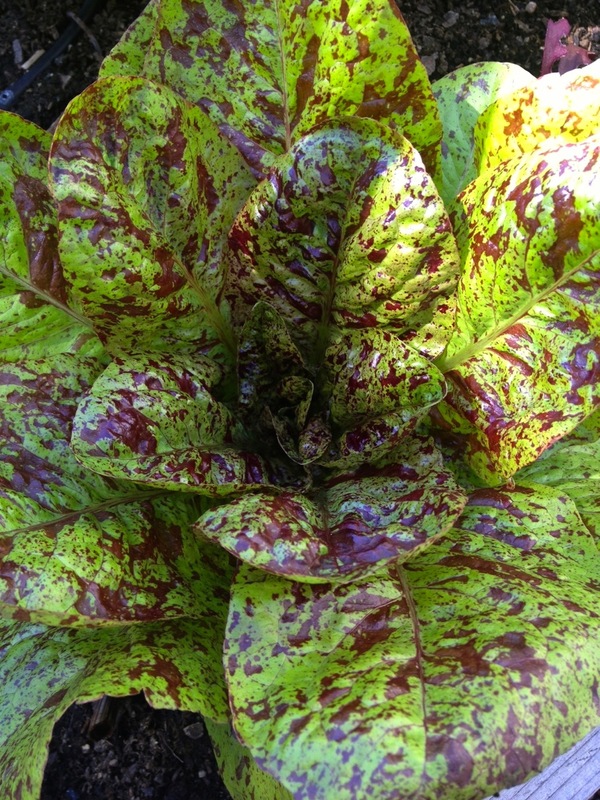 ‘Paris Island’ lettuce – purchased as a small plant start. 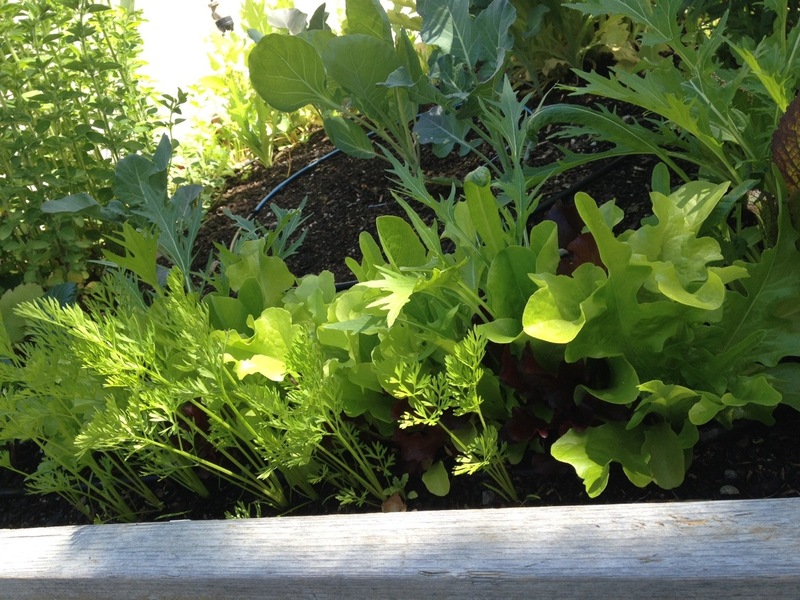 Rows of Hudson Valley Seed Library’s ‘Ultimate Salad Bowl’ – planted as seed in early April. I went a little crazy with greens this Spring since we are on our 6th night of ‘salad night’ at our house. ‘Salad night’ means our main course is some type of salad that is considered a full meal – taco salad, caesar salad, chicken mediterranean salad, etc.. My family is a little over the fresh greens thing, so tonight we will just have a small side salad with a completely different entrée. I don’t want to completely burn them out! 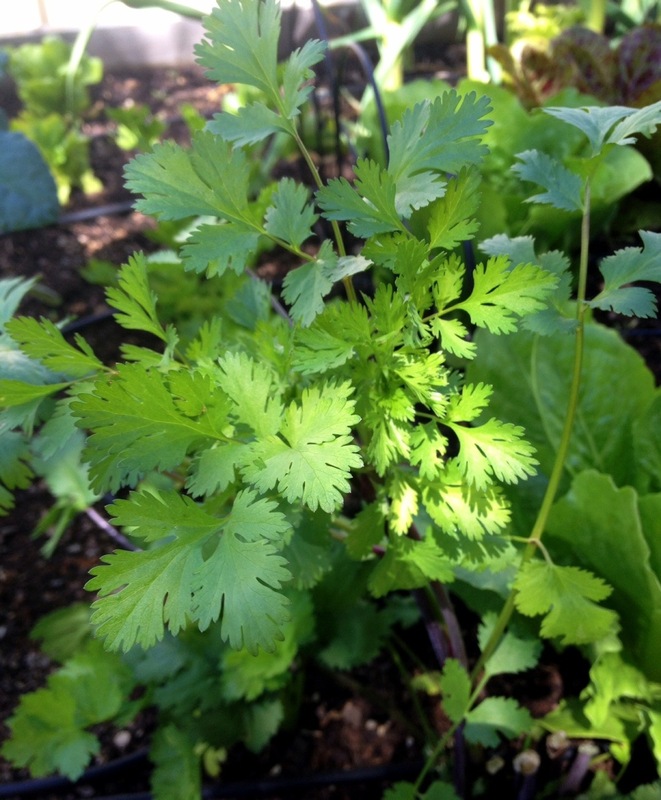 Deliciously fresh and fragrant self-seeded cilantro! 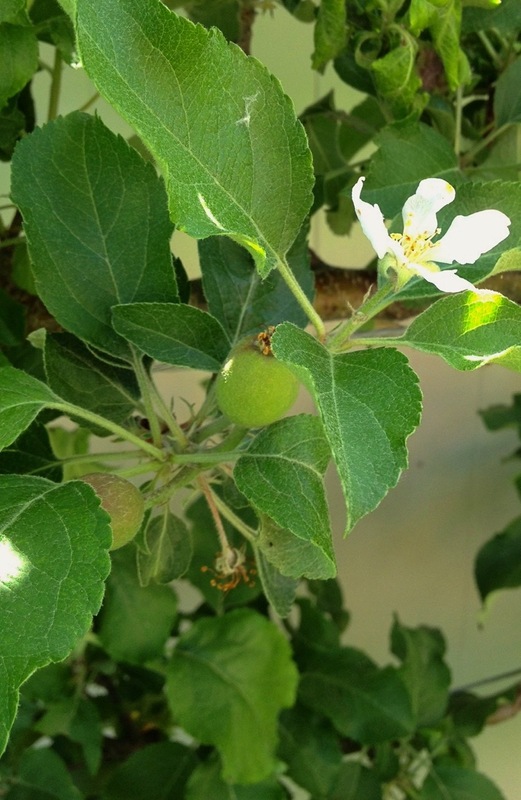 Apple trees look like they will be offering up a tasty crop! Many, many blooms on the Boysenberry! Yum! Wow, your garden looks fabulous, I love the espaliered Apples and the combination of your purple Iris and salvia is really lovely. Hi Cathy! Be sure to post pic of your white peonies! You know one thing I use to keep caterpillars of my kale is row cover material. I grow kale and broccoli under the white row cover so that caterpillars don’t get to them. Maybe there are different types (of caterpillars) in your area so it wouldn’t work but it works well for me and keeps the lettuce more “hydrated” since I live in a dry climate. Rain gets through the row cover material. Have a great week of eating! Hi Andrea, I meant to say how much I love the word bodacious too!!! You’re so right, Andrea, it is difficult to choose a favorite month right now. I know my least favorite is August, when our garden just looks exhausted! I’m enjoying our peonies, iris, Jupiter’s beard, clematis, mountain bluet, and dame’s rocket. With the foxtail lilies on the verge of blooming along with poppies, I think next week will be my next favorite time of year! 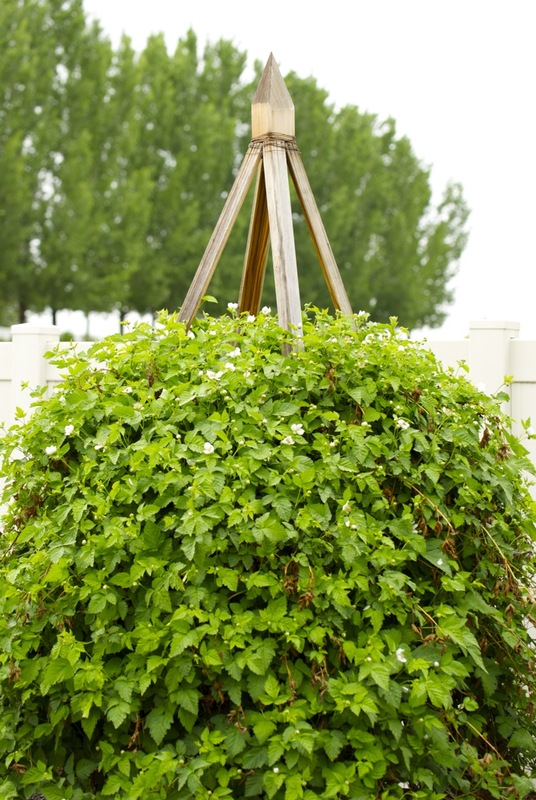 Great post, your garden is looking fabulous! Thank you so much for stopping by! I’ll be looking at your posts (garden) soon. 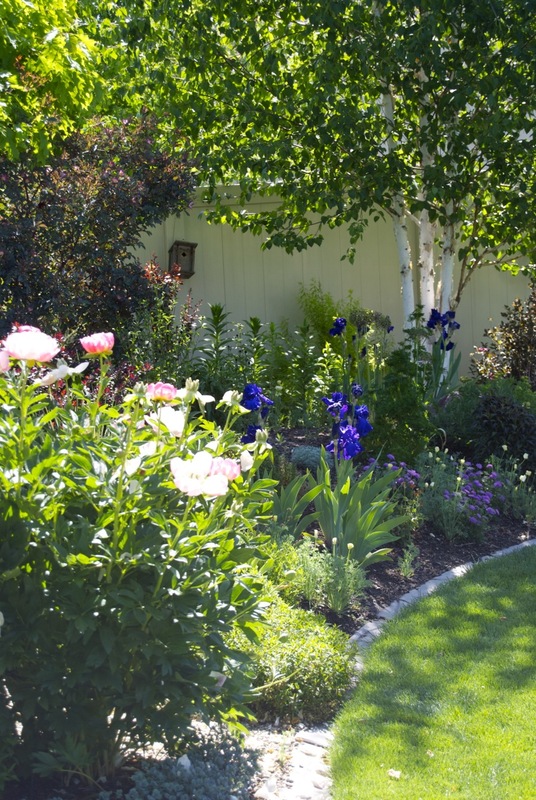 Are you going on the Boise Garden Tour? Andrea, My name is Diana and I’ve just started receiving your blog. I am pea green with ENVY! I live in a NYC high rise. Consequently my garden is limited to my 2 window sills for my tomato eggplant plants. 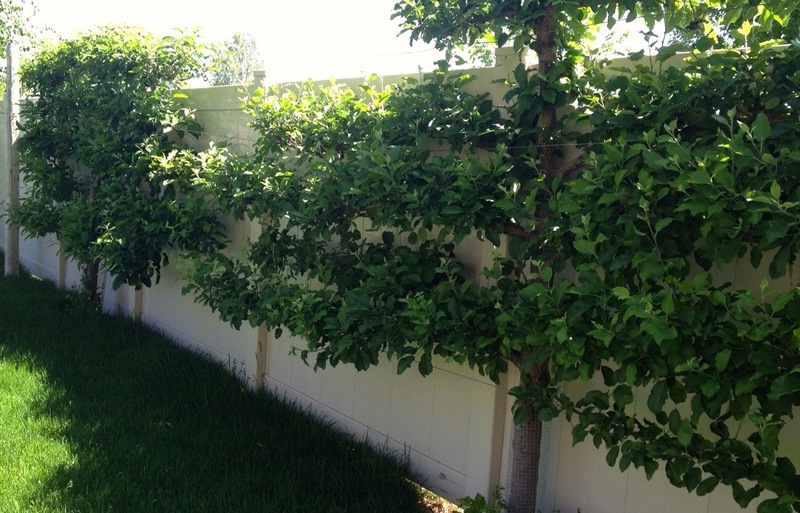 Your espaliered apple trees are “to die for.” How old are they? Did someone help you get them started, or did you just do it yourself? Your photos are lovely! 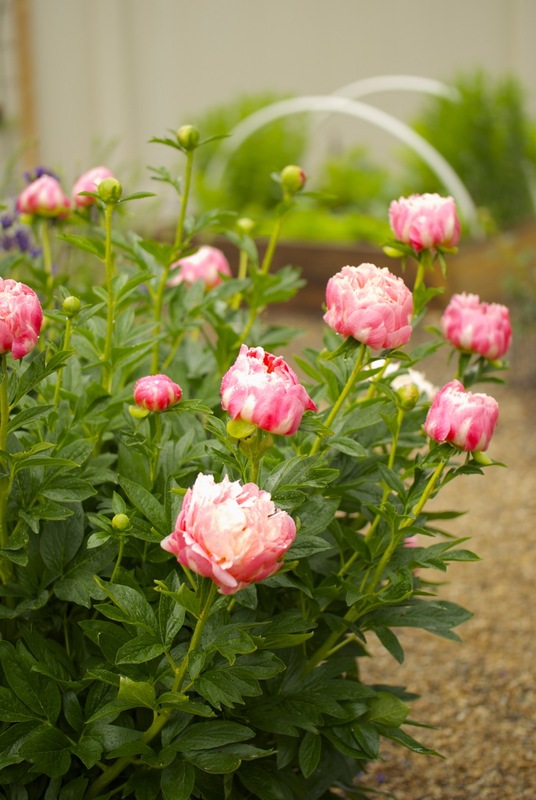 I look forward to seeing the progression of your garden over the summer. Thanks for sharing. Beautiful blooms. 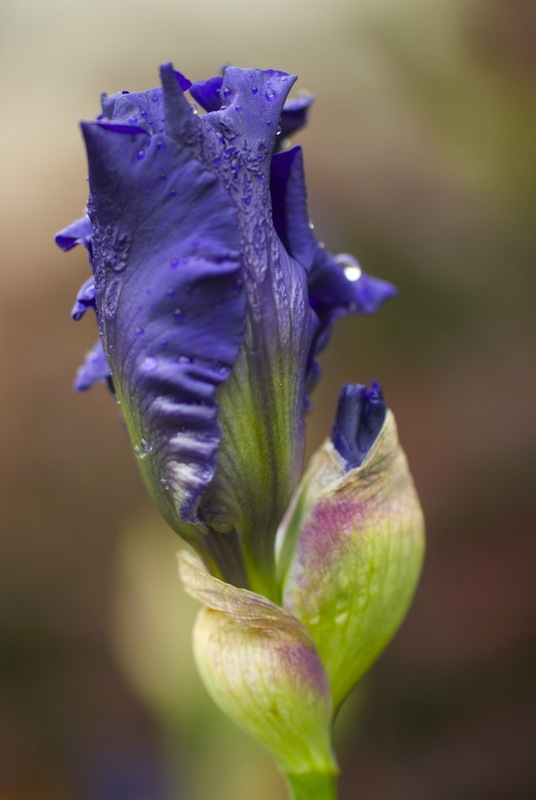 I really love the iris and salvia color echo. That is just brilliant. Your lettuce looks delicious. 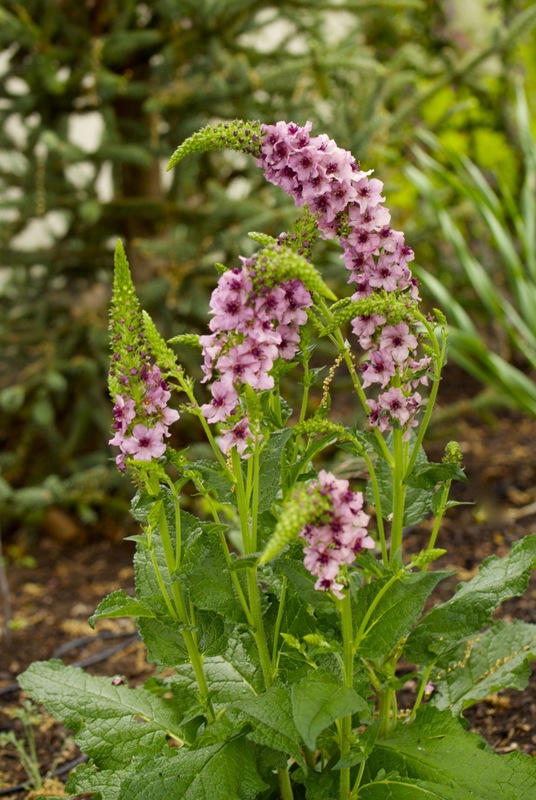 The verbascums are amazing. I have them too and they really make me happy when they’re blooming away. 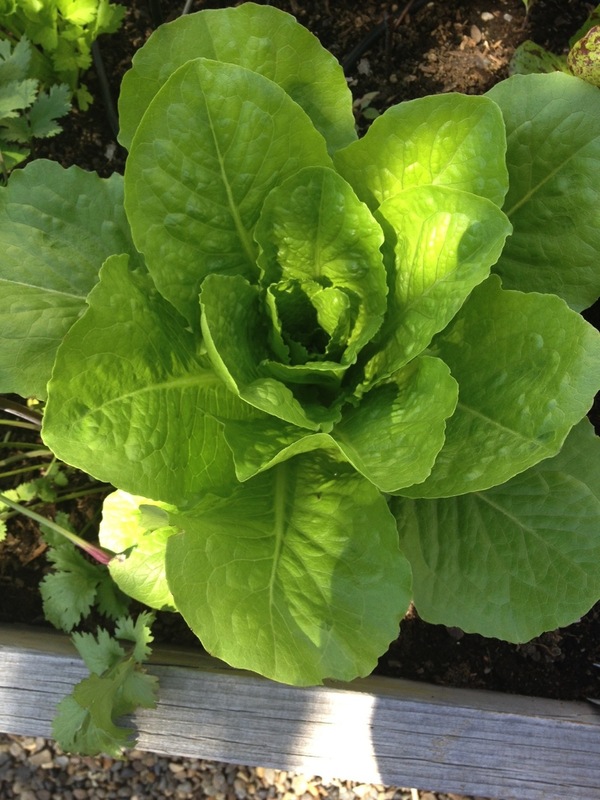 Andrea you have so much blooming and are so much further ahead than my garden….and all the yummy lettuces!! 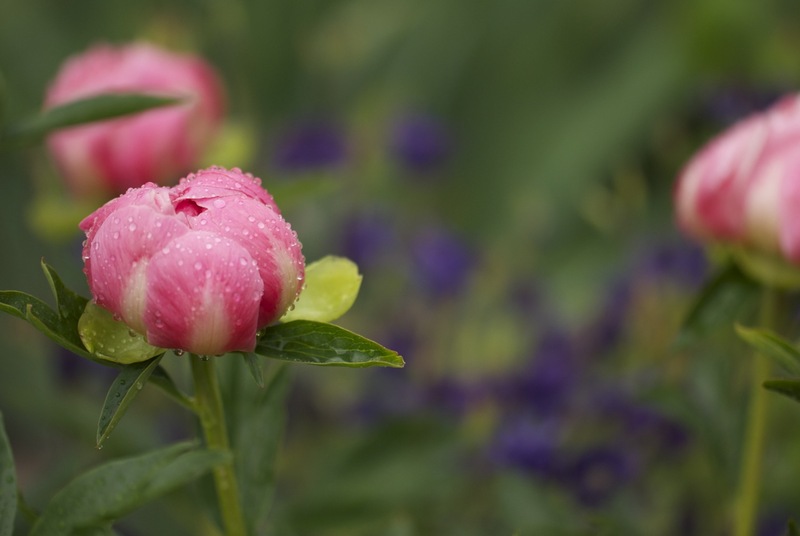 I can certainly see when you would love the month of May in your garden…it is lovely. 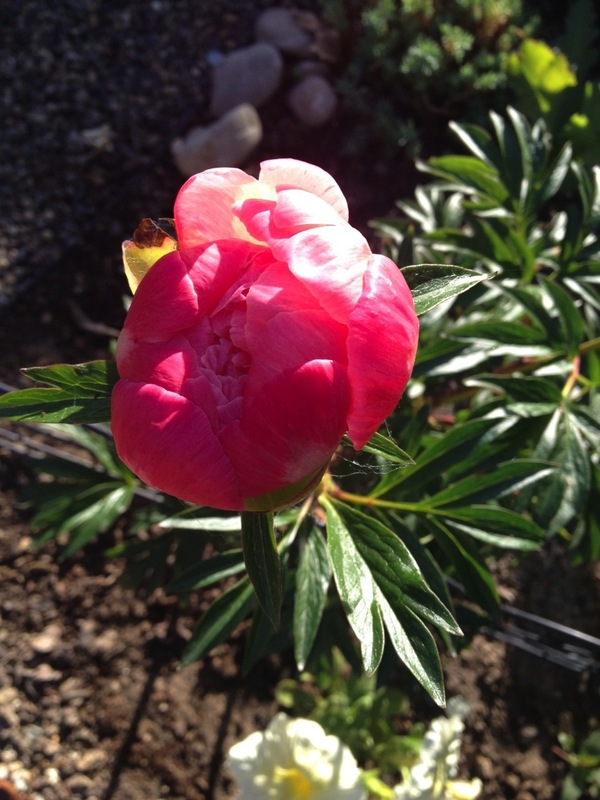 In both my Maine and New Hampshire gardens I would say it is probably June as everything starts to bloom later here.